Lima, according to recent rankings, is known as the best food city in South America. By some accounts, it may even be the best food city in the world! 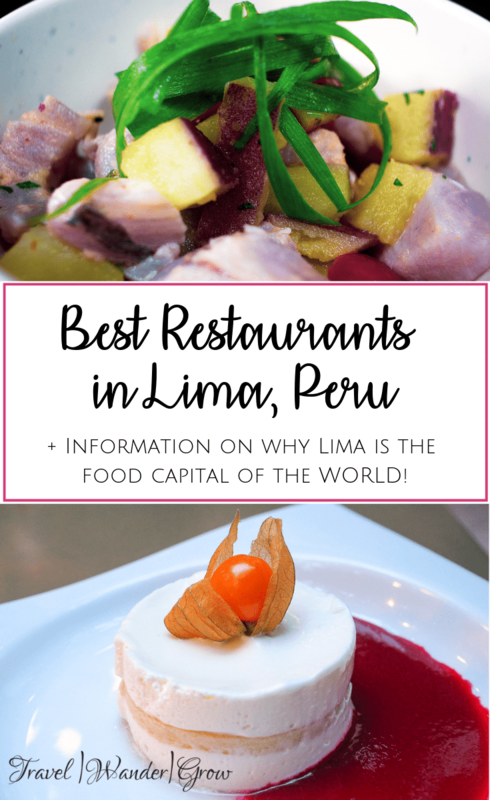 This is due to the fact that the World’s 50 Best Restaurants lists three of Lima’s restaurants. This is a feat currently only matched by New York, London, and Mexico City. Also, the three restaurants listed for Lima have higher ratings than the other cities…so I’ll let you do the math :). 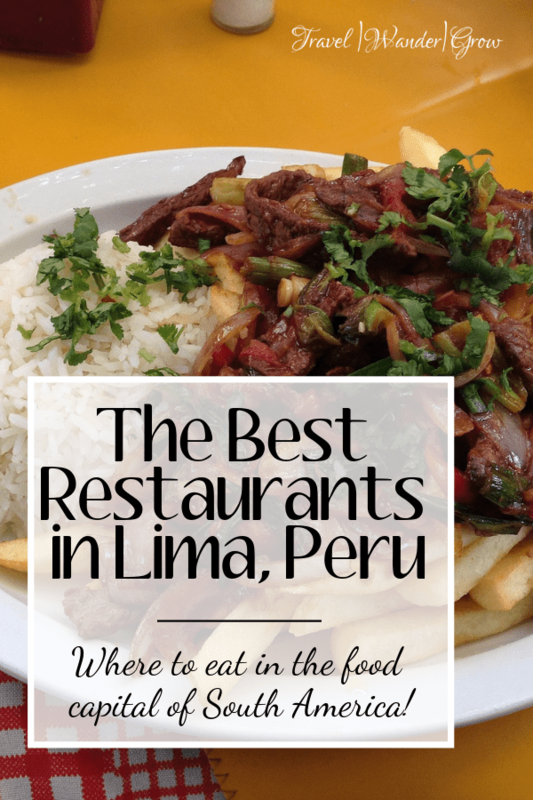 If that does not convince you, I’ll cover my favorite eats in this list of the best restaurants in Lima, Peru. I’ll also cover the three restaurants that are on the list of the world’s best restaurants too! The culinary explosion in Lima was born out of a time of strife – the civil war that the area experienced back in the 1980s. A lot of this boom is credited to the owners of the restaurant Astrid y Gáston. The restaurant started as a French restaurant, but the owners decided to change to Peruvian cuisine in the mid-1990s with great success. 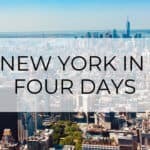 This restaurant has since become a culinary center in the city, and, as you’ve probably guessed, one of the restaurants on that coveted list. As a result of the efforts put forth by those restaurateurs, the food scene has become something truly unique to Lima. 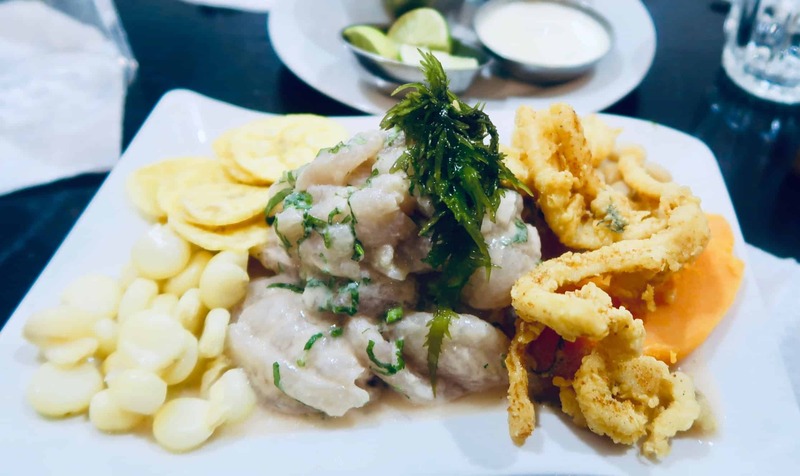 With plenty of wonderful restaurants available in the city, you’ll have endless opportunities to enjoy wonderful dishes like ceviche, lomo saltado, ají de gallina, and more! It is also really easy to find veggie / vegan options, more so than nearly any other country I’ve personally visited to date. Now that you know a bit more about the culinary scene in Lima, let’s talk food! 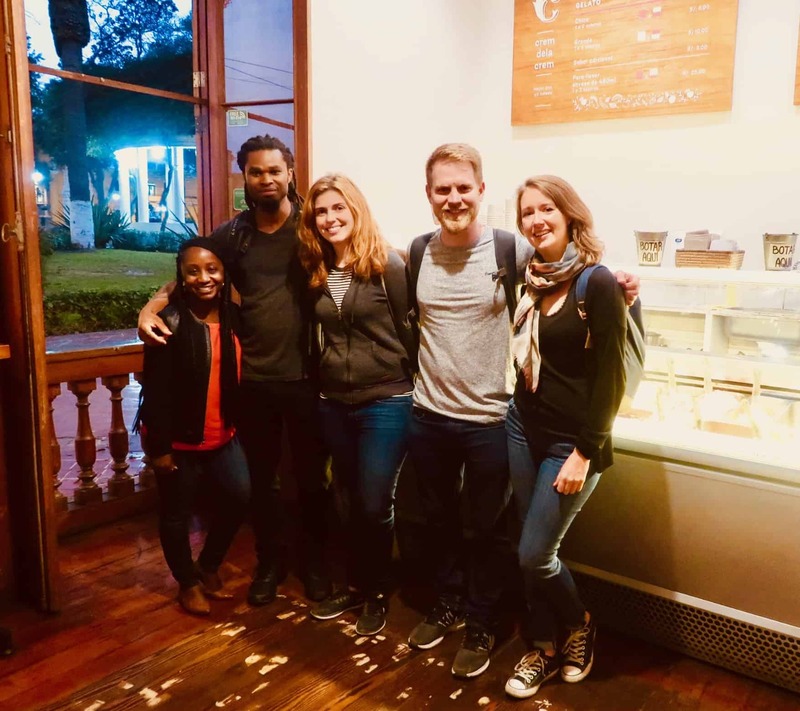 Note, the majority of restaurants that I will cover focus on those found in Barranco and Miraflores, as that is where I stayed and spent most of my time in the city. 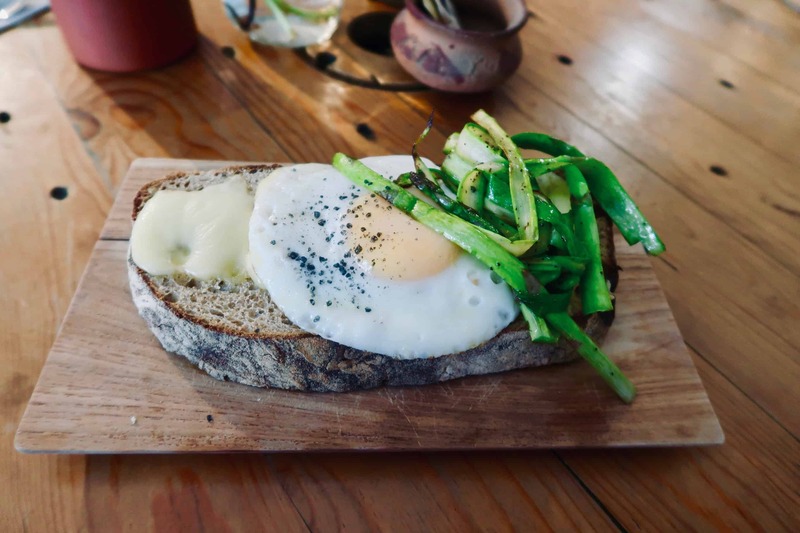 Breakfast in Lima is usually a pretty simple affair with the locals, so the recommendations I’ll provide are a bit more extravagant that typical. They definitely have that Peruvian touch though :). I had breakfast at two fabulous places while staying in Barranco. In fact, I liked both restaurants so much that I ate at each twice! Las Vecinas $$ (The Neighbors): This was my favorite of the two breakfast spots that we visited. The menu is full of various fancy toast options, teas, kambuchas, and more! It is vegan / vegetarian friendly, and the owners are quite lovely. I also love the ambiance here – think coffee shop for book lovers. Twins Cafe $: This cafe offers a lot of healthy as well as gluten free options. It has a very homey vibe to eat, and is connected to a barber shop and a health food store. You can grab plenty of guilt-free, but delicious food options here. Lunch and / or dinner in Lima usually consist of may classics, such as those I mentioned above. This includes dishes like ceviche, tacu tacu, and papas rellenas. We ate at a mix of sit down restaurants and casual eateries / bars while visiting the city. 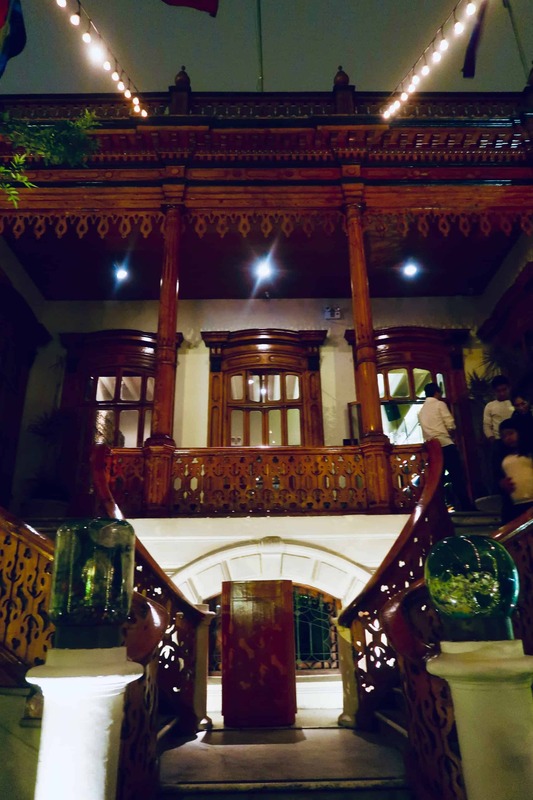 Ayahuasca Resto Bar $$: This bar (also in Barranco) is set in an old mansion, giving it a unique feel. A nice contrast between the old architecture of the building to the modern music that beats over the speakers. It has also been named by Conde Nast as one of the best bar / restaurants in the world! 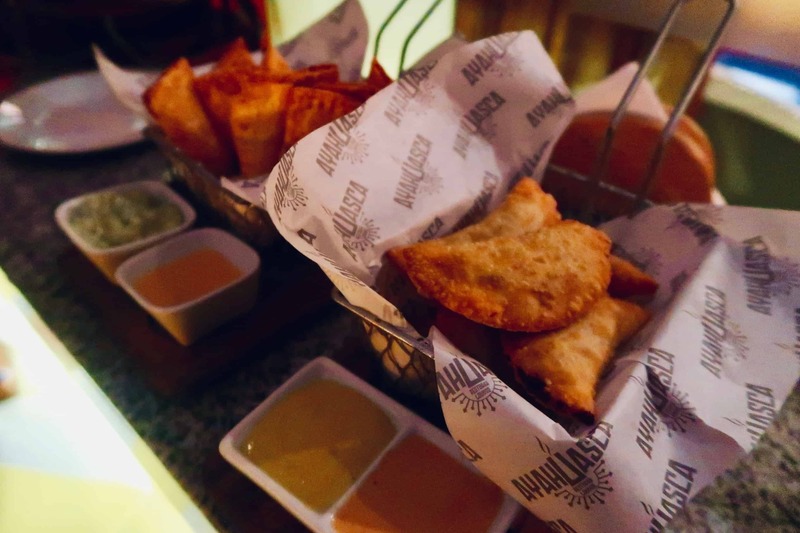 If you want to try DELICIOUS appetizers, I recommend that you try the tequeños while you are there. I could not get enough of them! Burrito Bar $: This a fast casual diner – think Chipotle, but Peruvian style. It’s another popular spot in Barranco. The burritos are perfect, and definitely better than the ones you get from Chipotle, in my opinion. This is, in part, due to the fact that the ingredients are just about a fresh as you’ll find anywhere. Brujas de Cachiche $$: I’d say this is the best place to go if you want great local staples. I went to the lunch buffet, and it was really one of the best buffets I’ve ever been to. 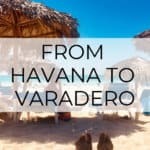 You have the chance here to try out as many of the local dishes as you’d like, which is why I think it’s a great place to stop whenever you’re in Miraflores. Now for my favorite part – dessert! I found a few great spots for different types of sweets while visiting the city. Churrería San Judas Tadeo $: Stop here for scrumptious churros! These are different from your standard crispy churros. Instead, they are more cake-like, and with filling! You can select cream, chocolate, or caramel – and all are worth trying. You’ll find this eatery in the heart of the old city. Crem dela Crem $$: If you want some gelato, this is where you want to be. It’s located right in the Mucipal Park of Barranco. There are a variety of flavors – including some very unique flavors from fruits found only in Peru. It’s connected to a coffee shop as well, so you can kill two birds with one stone! Made a few new friends while in Lima. Here we are after enjoying gelato in Crem dela Crem! Choco Museo $$: Now, okay this isn’t a standard eatery, but you can purchase many delicious varieties of chocolates here, as well as chocolate drinks (e.g., tea, hot chocolate), and gelato. If you want a lighter dessert, try this place – found in the lovely Miraflores neighborhood. Okay, so before I start here, I will caveat that I was unable to visit this famous restaurants, unfortunately. But as they are major tourist attractions in Lima, I wouldn’t do this list right without mentioning them. Centrale $$$$: This restaurant, located in Miraflores, is at the top of the list of best restaurants in Lima, Peru. The cuisine here is Peruvian-fusion. Here you’ll pay a fixed fee (~$125) for a fixed tasting menu. I’ve heard that the experience is quite unique, but not pretentious, despite the relatively high cost. Maido $$$$: This spot offers Peruvian – Japanese fusion. Here you can opt for individual meals or a tasting menu, which comes with great reviews. Astrid y Gáston $$$$: The focus area here is peruvian and seafood. Of the three restaurants listed here, it appears to have the most options for how you can opt to eat. With an a la carte menu, and both a short and long tasting menu, you can make the selection that best fits your appetite :). I’ll point out that reason I didn’t try any of these restaurants is simply because I did not book a reservation in advance. 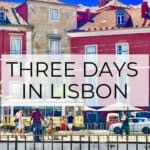 If you want to check out any of these restaurants, make your reservation several weeks in advance! I ate very will in Lima – can you tell? That’s the end of my list of the best restaurants in Lima, but I’d like to get your thoughts too. If you’ve visited the city, what did you eat? Did you try any of the premier dining options? Let me know in the comments below! 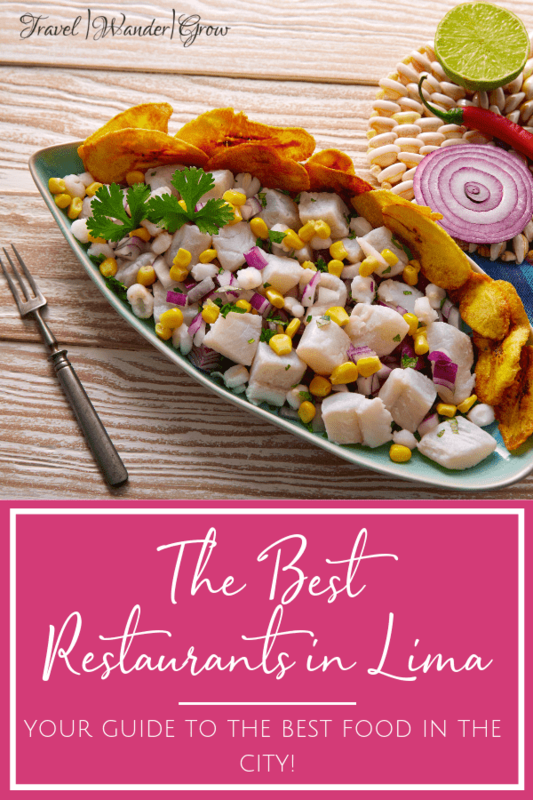 For more information on what to do on your visit to Lima, outside of eating check out my travel guide. Typical local food, eaten while on a food tour in Miraflores! I’ll be in lima next month so the timing on this post is great. Thanks for the suggestions. Happy to help Laureen! 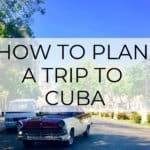 Let me know if you have questions as you plan your trip. Thanks for the review Christen, I haven’t set a proper plan to Lima yet but will definitely go back to your list here for reference. Hi Wina! I agree – it’s best to experience both types of food. Makes for a well-rounded food experience :). Oh of course, Wendy! Glad you enjoyed the read – happy to answer any questions if you have them. I only recently learned that Lima has such a food scene. I’m a big foodie and really want to check it out now. I love that you included places to eat other than the premier options. I will have to try them for sure! 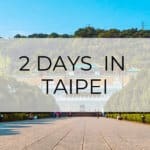 Been considering visiting Lima for a while now, this post is very handy, just the perfect timing! Thank you! They were 🙂 Hope you can try them soon!